Todd was in Good Company Players’ Junior Company for 3 years, starting with the Guys and Dolls pre-show in 1981. 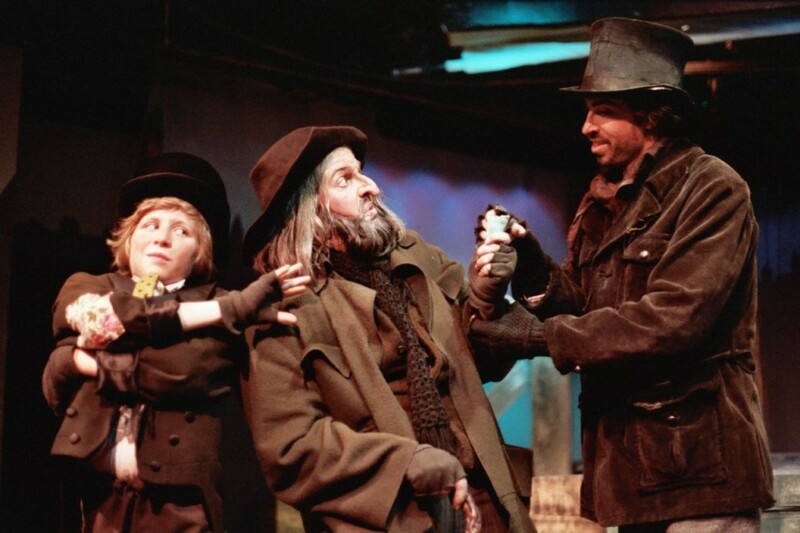 On GCP’s main stage, he played the Artful Dodger in 1982 production of Oliver!, appeared in ensembles of shows including Hello, Dolly! andBrigadoon in 1983 as well as working backstage on many productions. Todd also wrote arrangements for the Junior Company at this very tender age. He ended his time with GCP as a performer in The Greater American Musical Revue in 1984. After teaching history and directing the theatre program at a Catholic high school for eight years in Napa, California, Todd went to graduate school at the University of Michigan and earned a PhD in 2007 with a dissertation that included a chapter on Show Boat(Todd also appeared in Show Boat at GCP in 1984). Todd has poured his love of music, theatre and film into his two recently published books; Music Makes Me: Fred Astaire and Jazzand Show Boat:Performing Race in an American Musical. Both book sare available on Amazon.com. Todd was asked to give a lecture on Show Boat at the Library of Congress in March 2013 and is currently an Assistant Professor of Music at Washington University in St. Louis.